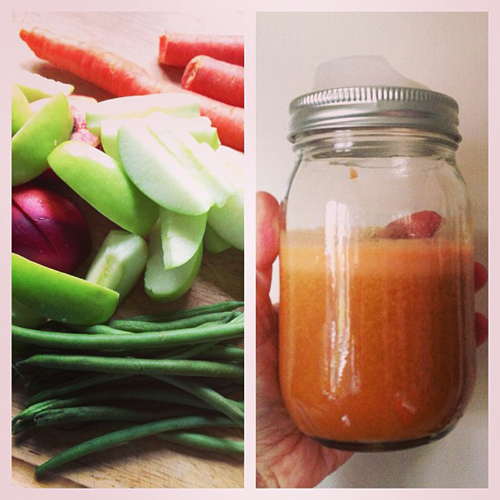 I've been trying to sneak other veggies in to our morning juice. I had read that frozen green beans work well in fruit smoothies. I snuck some green beans in with apples and carrots. I didn't even notice a green bean flavor. 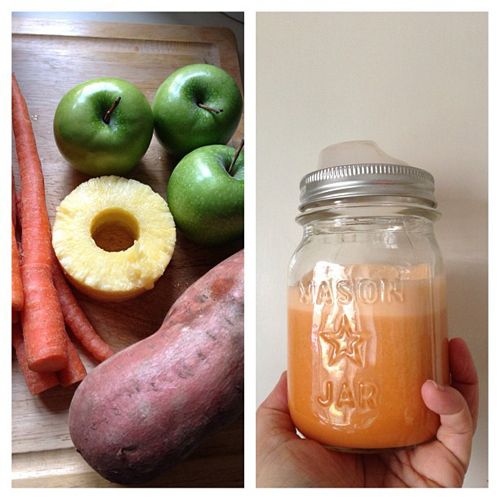 Then I tried a yam with carrot, apple and pineapple. That had sort of a gritty texture. Someone suggested I try sweet potato next time because it isn't as starchy.